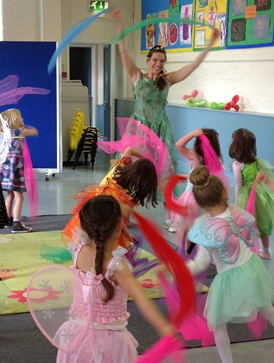 Let our super special ‘real life fairy’ host your party and delight your child with her special party magic! Fairy dust on the children’s faces / arms or hand stamp. Full themed music on speaker system. Your party will start with your fairy arriving 15 minutes before the party starts to greet the birthday child and set up. As the guests arrive she will give each child a hand stamp or a little fairy dust. 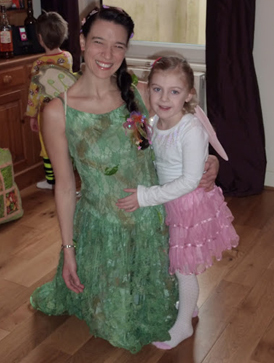 After most have arrived 15 minutes into the party she will proceed with an hour of fairy themed games, dancing and lots of fairy fun. Lots of props are involved such as brightly coloured scarves and bubbles, plus a pass the parcel (1 parcel per 15 children so if over 15 then 2 will be passed around simultaneously.) Your fairy can leave as you begin food, or if you are having the 2 hour package then she will stay – making each child a balloon wand, flower or sword. Party games are then played to the end where she can help you organise a group photo, or help pass out the party bags. 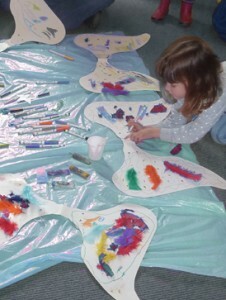 Fairy wings decorating is a great addition to this party in the 2 hour package at just £1 extra per child. This gives the children a lovely souvenir to take home and can be a great alternative to party bags. Please see our prices page for details, or contact us for a quote to you.